I am a firm believer in the power of community engagement to create the shift and impact in developing healthy, sustainable and meaningful change for the future. 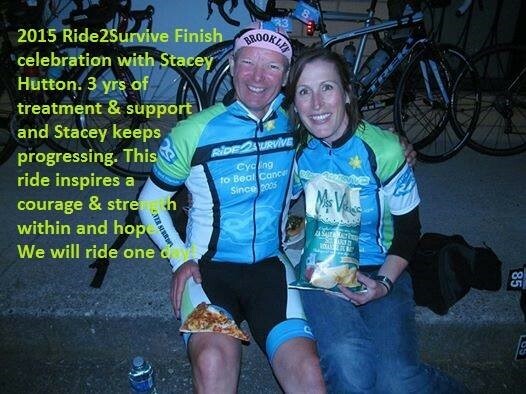 Although the cycling journey in support of PD began in 2009, the real journey to support two family members living with Parkinson’s Disease began long before. Wanting to make a difference beyond the daily talks with my dad and uncle, I joined a group of cyclists dedicated to creating awareness and raising funds and hope for Parkinson’s Disease. In August 2010, and for a cause close to my heart, I committed to supporting and raising awareness for Parkinson’s research through the Just Giver for Parkinson’s fundraising Tour and completed a 10- day, 1354 km cycle through BC, Canada with the JustGiver4PD Cycling group raising over $90,000 for PD Research. Here we are in 2019 and 10 years later the fight continues through the inspiration of those we met along the way and continue to meet daily. PLEASE JOIN ME and JustGiver 4PD Sunday, (2019 Date TBD) to tackle the 4 Peaks of SFU, Seymour, Grouse and Cypress while raising awareness for Parkinson’s disease. This 140 kilometer ride with 3,000 meters of climbing will test the early season legs! 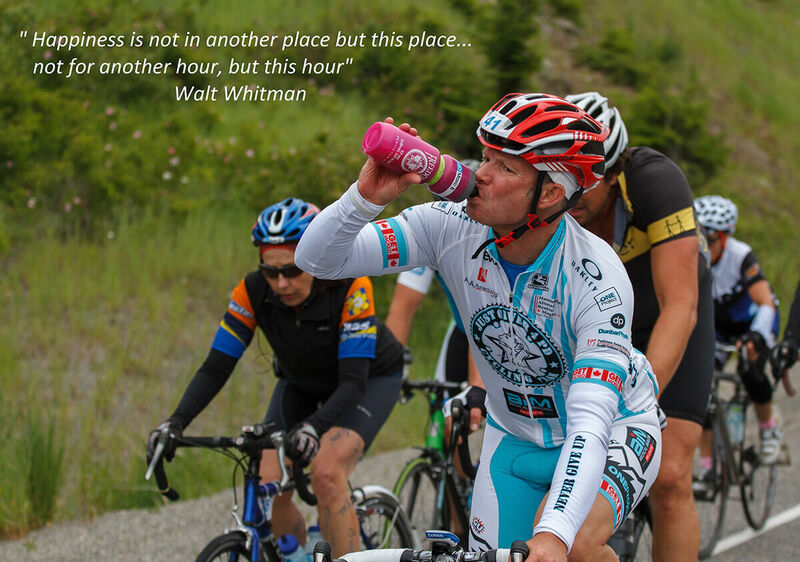 On June 21st, 2019, we will ride 400km in one day from Kelowna to Vancouver, BC to raise awareness and funds to continue to support those living with Cancer. In 2013, 2014 and 2015, I cycled for colleagues, friends and family that continue to ignite those around them to this day. 2019 is for my niece Marissa. Love you so much, Let's do this! These people and the many family, friends and colleagues, symbolize and represent the many faces that are living or have been touched by cancer and are the reason I am riding 400km in one day and the choice to try and make a difference. With your support we will make an impact, inspire and be part of the voice that says… We have had enough! After 15 yrs of Ride2Survive, 2019 will be the final year of the 400km journey. I will be supporting my teammates and all those who say I have had enough!! RYLA or the Rotary Youth Leadership camps are designed to provide tools to our next generation of leaders. RYLA, a Rotary Youth Leadership camp sponsors youth between the ages of 18 – 25 to attend a one week camp. I have been supporting RYLA for over 18yrs. In that time I have touched over 700 youth leaders in the USA and Canada and look forward to returning in July of 2019 to share life lessons, passion for leadership presence, communication and the power of coaching in self-improvement with our future leaders. Designed to bring key ICF coaches together to share best practice and improve and support NonProfit leadership and organization success. I have contributed to this ICF Community of Practice through virtual presentations and dialogue on the impact and support for nonprofit leadership development.